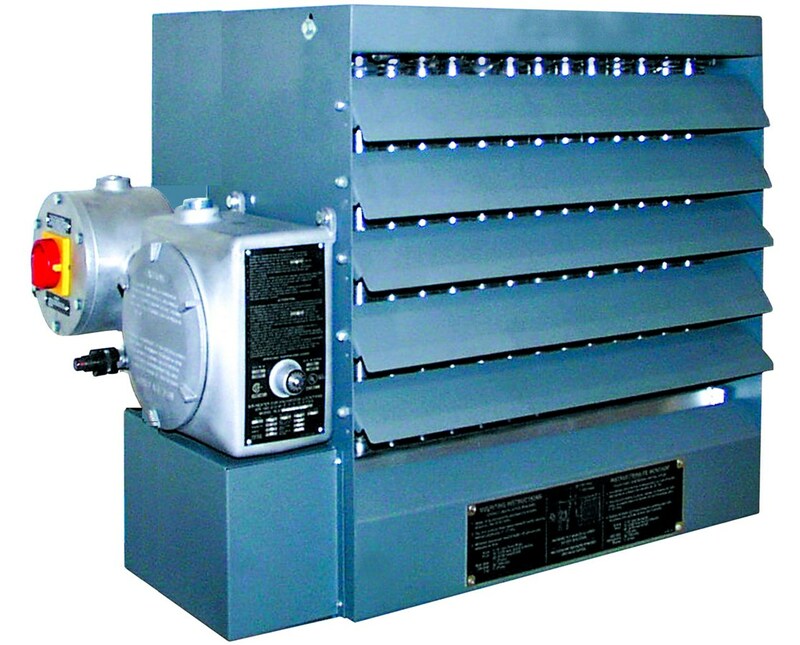 Designed for rugged industrial applications, the TPI HLA Series Hazardous Location Fan Forced Unit Heater is a heating machine that circulates heat around an area, especially in hazardous locations where there is a possibility of explosion or fire. This fan-forced unit heater uses Ethylene Glycol solution as a heat transfer liquid to provide freeze damage protection. It features a high-performance electric motor that offers a speed of up to 1,725 revolutions per minute (RPM). This TPI HLA series has a manual reset capillary-type limit that supports high-temperature regulation and presents a rating for 6,000 cycles of service. It features copper conductor wires that are contained in rigid metal conduits that bring electrical power. The TPI fan-forced unit heater comes with an optional factory-wired integral thermostat for a hassle-free temperature adjustment. 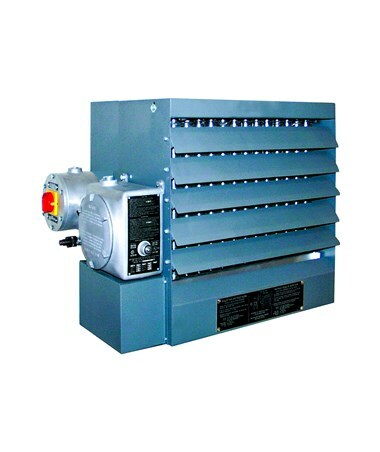 The TPI heater is made of painted carbon steel with aluminum fins liquid heat exchanger. For overpressure, it has a stainless steel and aluminum pressure relief valve and a narrow gap safety fan guard shields. As an additional feature, the HLA series heater comes with furnished box lugs for field connections within an approved enclosure. The TPI HLA Series Hazardous Location Fan Forced Unit Heater has 27 available models that offer varying features such as heater wattage, energy (expressed in BTU, British Thermal Unit), voltage and phase. Please select your preference from the menus above. 1-Phase: 20.75" x 21.63" x 18"
3-Phase: 20.75" x 20.75" x 18"
3-Phase: 24.75" x 22.5" x 22"